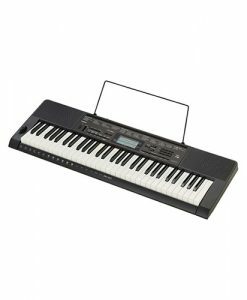 The Casio CTK6200 features a piano-style touch-response keyboard, song sequencer, tone editor, multiple digital effects, mixer, performance registration memory, USB MIDI interface, SD card storage and hundreds of editable tones. Both models offer a pitch bend wheel, back lit displays, music presets and 700 individual tones in a portable design. 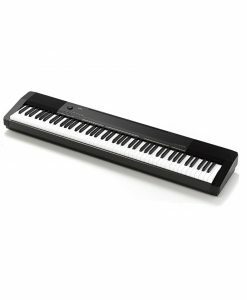 The Casio CTK-6200 has all the tools you need to practice, compose and perform. 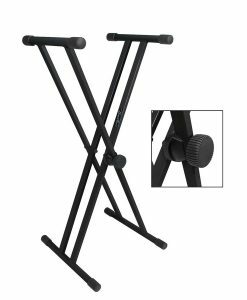 The extensive list of features and the sound from the high-output 2-way bass reflex sound system found in these music workstations will give you the chance to bring your musical ideas to life and discover the musician in you. 16 track song sequencer 1 system track supports recording of up to 5 songs or approximately 30,000 notes. Choices of editing tools include event insert, copy and delete, quantize note locator and a step recording function. The mixer can be used in conjunction with instrument input feature. 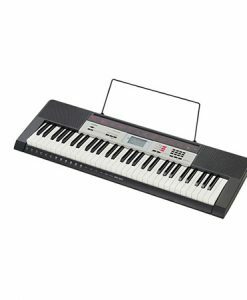 The Casio CTK6200 has all the tools you need to practice, compose and perform. 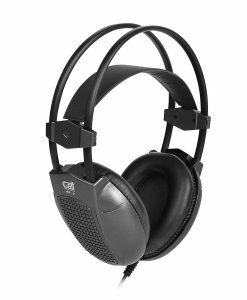 The extensive list of features and the sound from the high-output 2-way bass reflex sound system found in these music workstations will give you the chance to bring your musical ideas to life and discover the musician in you. With a large library of 700 sounds to choose from, everything from pianos, strings, guitars, orchestral instruments and synthesizer sounds can be selected using the LCD screen and voice buttons. Sounds can be layered together or separated into different parts of the keyboard, with up to 3 sounds being played at once. 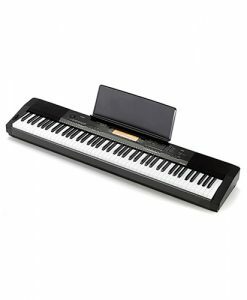 You can also choose any of the 210 automatic accompaniment styles and play along to your own backing band that follows the notes you play on the keyboard. There are lots of different styles to choose from, including Pop, Jazz, Latin, Ballad and World styles. 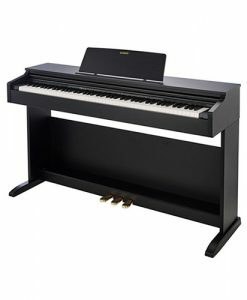 The keyboard also has a range of Piano Styles which add a piano accompaniment to your playing. 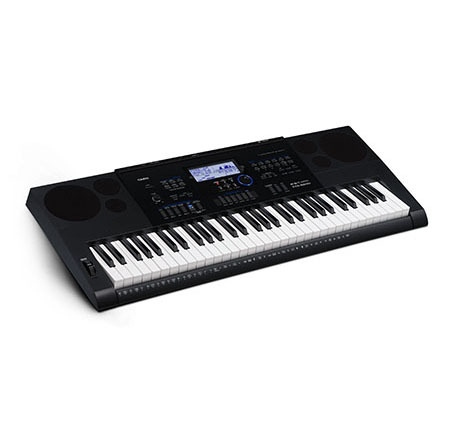 To make setting up easy, the CTK-6200 includes 305 Music Presets that set the keyboard up for you. Choose from any of the song suggestions on the LCD screen and a suitable sound and backing style is selected automatically, allowing you to concentrate on making music. The Casio CTK6200 17-track Song Sequencer allows you to compose, edit and save your music as a standard MIDI file. Advanced features such as Multi-tracking, Quantize, Step Edit and Punch-In recording are possible too. Alternatively, you can make quick and simple recordings using the Easy Record feature. More advanced players will appreciate that every sound and accompaniment style is completely editable if required. The Tone Editor allows you to edit any of the on-board sounds, whilst the Rhythm Editor can be used to edit any of the accompaniment styles, remix them or write a new style from scratch. Each sound can be enhanced with any of the 100 Digital Effects provided such as Delay, Distortion, Wah-Wah, Compression and much more. Each effect is fully customisable and any changes you make can be saved for later use. Reverb and Chorus effects can also be added separately. One Touch Presets make finding sounds easy. Select any accompaniment style and the One Touch Preset will select a suitable melody sound for you automatically. A large, backlit LCD display shows all the essential information you need, such as which sound and accompaniment style is selected. All these settings can be changed at the press of a button. The CTK-6200 includes a 32-channel mixer, giving you complete control over the volume of each sound, drum track and accompaniment part. Auto Harmonize adds extra notes to your melodies, creating a fuller and more professional sound. There are 12 different Auto Harmonize settings to suit all styles of music. Registration Memories can remember 32 of your favourite sound and backing style combinations even after you switch the keyboard off. A Chord Arpeggiator creates up to 140 different note patterns and is perfect for exploring electronic music styles. The Transpose feature makes it possible to play a song in any key which is perfect for accompanying singers or other instruments. Different scale tunings make it possible to play all styles of music. You can even fine tune each note to create your own scale if required. 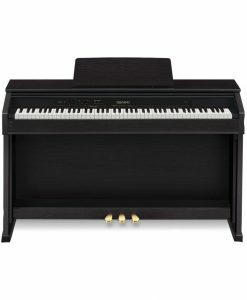 The CTK-6200 includes different Chord Modes. Complete beginners will enjoy being able to play chords with just one finger whilst experienced players can switch to full chord mode for more advanced harmonies, including variable bass notes. The built-in Metronome provides perfect timing for help with practising. 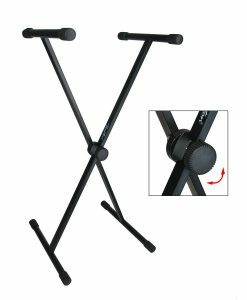 A Pitch Bend Wheel allows you to achieve special pitch effects when playing melodies, such as bending notes in a guitar or synthesizer style.